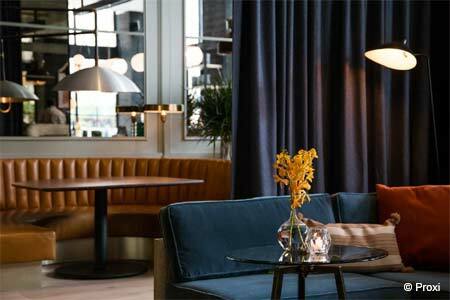 Outpost for healthy dining inside the fashionable Fulton Market District. 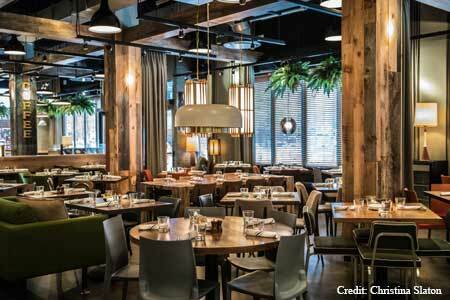 About the restaurant & décor: This staple for fresh, seasonal cuisine is an all-day dining magnet inside the fashionable Fulton Market District, home to some high-profile enterprise companies and start-ups. Come breakfast and lunch, the overflowing salad bar, large dining room and outdoor patio teem with young professionals on the hunt for healthy fare. The space reflects the industrial vibe of the warehouse-turned-offices and restaurants in Fulton Market. Think wood everywhere, beamed ceilings and hanging plants to liven up the room and a long bar flanked by high-tops for post-work cocktails. A coffee/pastry bar serves as a spot to grab a chocolate olive oil cookie with your morning latte and WiFi. Food & Drinks: Whether craving an egg white sandwich or mushroom quinoa burger, diners enjoy plenty of pre-built or hot plate selections for breakfast, lunch and dinner. Don’t skip out on salad; your to-go container will surely be overweight with numerous hot and produce options, from salmon cakes to crispy pea shoots. Sneak in a gluten-free popover (or two). Dinner excites with its twists on classic dishes, from a chili and chocolate-glazed salmon to Wagyu pot roast filet mignon. The eatery also lures with many fresh-squeezed-juice cocktails (hello Pineapple-Habanero Margarita). Red and white wines favor California, with decent French, New Zealand, Spanish and South African sips thrown in. Five-dollar happy hours boast deals, including the Catena “Vista Flores” Malbec.